One of the main ways to money in the music industry is to DJ live gigs. DJing is also one of the best ways to get your music heard. It’s also really, really fun. This course is for producers looking to advance their music skills and step up their performance. We’ll look at production tricks from classic tracks, and how to create unique sounds. You’ll then learn to mix the audio and master to a professional level. Throughout your training get tailored feedback from our experienced, industry-active tutors. And, under our awesome DJ tutors you’ll explore a different sort of mixing! Starting with the basics, leading up to 3 and 4 deck mixing. Don’t wait for your artist career to happen, take the steps to make it happen. Don’t worry if you don’t know music theory. Don’t worry if you don’t play an instrument. This 3-month module will help you arrange and create music confidently. Our world class DJ tutors will teach you how to mix like a pro on CDJs, vinyl and digital. They’ll also explain the do’s, the don’ts, DJ branding and getting yourself out there to get gigs. This course focuses primarily on 3rd party plugins and audio editing techniques rather than a specific DAW. Lessons are however delivered on Ableton Live to show examples. If you use a different DAW, we can provide online Ableton 101 training videos and Midi Lab access to familiarise yourself with Ableton before your course starts. It’s fine to complete your assignments in the DAW of your choosing, just OK this with your tutor first. Music Production: 1x6hr day or 2 eve lectures (6 months). Music Comp: Mon or Wed 7pm-10pm (3 months). DJing: Mon or Wed 6pm-10pm / Sat 2pm-6pm (4 months). During your studio time, the tech team can provide additional 1-2-1 support, to help you further develop your production skills. They’re here 7 days a week. Make the most of them! Studios are available 10am – 10pm Monday – Friday, and 12 – 9pm on weekends. Use our online booker to plan ahead. SEM offer more practical time than any other UK equivalent. 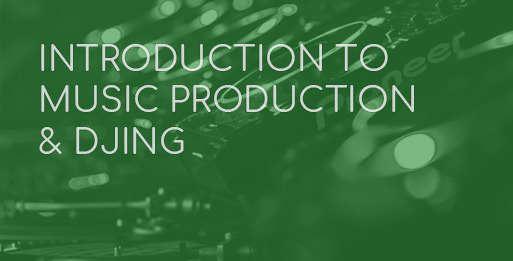 This module is only for those who already have a working knowledge of music production using a DAW. For this reason it is an ideal progression for those who have completed the Introduction to Music Production module, or for external applicants, you should ensure you are already confident at producing music in the DAW of your choice. We would recommend sending in some tracks, or coming in to meet with a tutor prior to application so we can try to ensure you’re joining at the right level. The module is not DAW focussed, looking instead at transferrable music production techniques relevant for any platform. Lessons are however delivered on Ableton Live. If you are not familiar with Ableton Live, this is not a problem. We can provide you with free online Ableton 101 training videos, and access to our Midi Lab facilities and tech support staff prior to the course starting so that you understand the basics of Ableton Live for lessons. You do not need to necessarily purchase Ableton at home unless you choose to, as our facilities are available for you to use 7 days a week. When it comes to assignments, speak with your tutor, but the likelihood is you will be able to submit work using the DAW of your choice should you prefer not to use Ableton Live. We will expect you to be comfortable with the basics of Ableton before starting, and all external applicants will be required to sit in on an initial crash-lesson prior to the module starting. Are you already producing, but often feel that something is lacking from your music? Then this is also the module for you. Over 6 months you’ll study different types of synthesis (subtractive, wavetable, frequency modulation, granular, additive) and sampling techniques allowing you to confidently recreate the sound you’re looking for from your favourite track – or to create something unique to you: no more presets! We’ll break down a range of different tracks to see why they work allowing you to incorporate these proven techniques into your own productions. Finally, you’ll learn in depth mixdown and mastering techniques using a range of high-end processors and effects from manufacturers like Native Instruments, UAD and iZotope. Give you music clarity, punch and depth, and make it stand out in a crowded marketplace. You’ll be learning in a creative environment, from industry active producers who have a string of releases and remixes to their names. school of electronic music is a Native Instruments Education Partner. Sound theory, advanced Massive synthesis, FM8, Absynth, introduction to Reaktor/blocks, advanced sampling using Battery, effective layering of sounds, creative audio editing, recording, editing and processing vocals, vocoding. Further critical/analytical listening skills, advanced production techniques, advanced synthesis/sound design, case studies: how to structure music of different styles/genres. Gain structure, effective metering (dBFS, dBVU), balance, panning, EQ (vintage analogue and digital), noise gates, compression types (VCA, FET, Opto, Vari MU), creative modulation effects, reverb and delay families, case studies: mixing different types of music and instrumentation, further mastering techniques. Why is the Electronic Music Composition Module automatically added to all courses? How do I start and finish a track? How do I make a groove & arrange beats? How can I create a track, with a sample as a starting point? What is a chord structure? How do I know if this vocal is in key? How do I make a bigger drop? How do I make a better breakdown? How do I write a hook? How do I finish my arrangement? How can I get creative when I open Ableton Live? This module will answer and teach you all these techniques, and more. 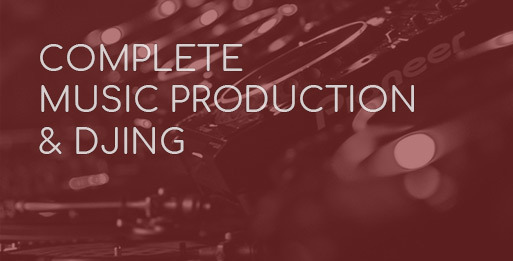 It will guarantee to give you the edge and help you to be a successful, creative music producer or audio engineer. It will give you a solid grounding in musical theory: a key area of your musical skill set which will allow you to create ideas quickly with confidence, and improve your musical ear. It will help you put your ideas in to an arrangement ready for mixdown. You may be able to produce music to a high level but it won’t be enough if it doesn’t sound musical. Once you are on your way as a producer, remixer or sound engineer, having an understanding of music composition will be indispensable as you will be able to effectively communicate with vocalists, artists and musicians around you in a language they understand. If you feel that you already have a good grounding in Electronic Music Composition and this module’s valuable content, you are welcome to discuss the options with a course advisor who may suggest that you opt out of this module after registration. They may require that you supply examples of your understanding of the subject. The keyboard, bars & beats, tempo, analysing music, music theory, keys & scales, basic chords, extended chords, inversions, remixing, acapellas, treating stems, sourcing sounds, automation, linking sounds and ideas, structure, creating hooks, song sections, arrangement, analysing songs, song templates, audio sampling, working out key, MIDI from audio, transposition, chord progressions, dynamic chords, arpeggiators, gated chords, writing melodies, harmony, groove and bass lines, idea generation. This module is aimed at total beginners, or those who have a DJ controller or set of decks at home, but have been self-taught or learnt from a friend. If you’re producing music, learning to DJ is great for three reasons: it’s a great way to start getting your music out and heard, it’s a great stream of income, and it’s really fun! You’ll have the opportunity to learn all platforms available for DJing today: CDJs, vinyl, digital, and DVS systems. We have a range of industry standard Pioneer hardware including the flagship NXS2 units. This course will look at the industry standard Traktor and Serato digital DJing software. We’ll also cover mixing on vinyl, and DVS platforms which are great if you’re a vinyl lover but want to incorporate a digital music library. You’ll be exploring a range of DJ techniques so that you’ll be able to mix confidently, show off DJing tricks and secret weapons (including 3 and 4 deck mixing), and build your sets to make an impact. ‘How do I get gigs?’ – We explain the do’s, the don’ts, DJ branding and getting yourself out there. Finally, don’t expect an exam at the end of the module – this is a lot more fun: for the final lesson the DJ module students will DJ a ‘closed doors’ set at one of the most prominent clubs in Manchester. SEM is a Native Instruments Education Partner, a Serato Training Centre, and a Pioneer Authorised Training Centre. Throughout this course and for 6 weeks afterwards you’ll have full, unlimited access to our 3 pro DJ suites. 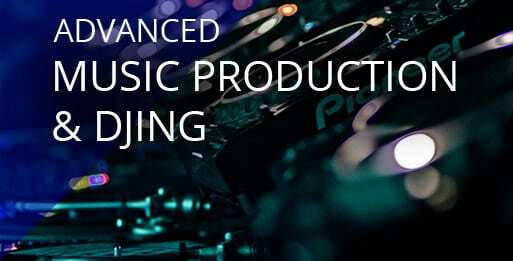 CDJs, turntables & mixers, monitoring & headphones, audio connections & wiring, setup and calibration, beat-matching BPMs, keeping tracks in sync, pitch correction & triggering, timing, cues & visual references. Beat-matching records, basic scratch DJ techniques, scratching with vinyl, scratching with CDJs, sourcing scratch samples, Serato Scratch Live & Dicers, Traktor Pro & S5, Traktor Scratch, Pioneer DDJ-T1 & Pioneer Rekordbox, digital controller integration, creating mixes with Ableton Live, XDJ1000 and CDJ2000 NXS2 control. We assume that if you’re at a stage where you’re producing music comfortably, you’ve put a lot of time and effort into getting there. The question is, why stop now? Sound design and mixdown are the two main elements that will enhance your tracks. Learn each in detail through exploration of Native Instruments Komplete and iZotope. Top this off with learning pro DJing skills that will set you up for life, and potentially open a lot of doors for you. 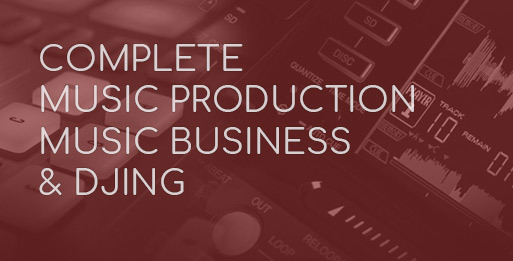 Gain the production and performance skills to push your music out. A strong working knowledge of a music production software (DAW) is required (see further info). Before enrolment, applicants must have an informal phone interview and submit some of their music. Contact us to arrange this. Add the Intro to Music Production to guarantee meeting the requirements. You’ll have the skillset of a mix engineer and understand music theory and sound synthesis in detail. You’ll be able to DJ on CDJs, vinyl and digital to a pro level. Learn to mix your tracks down and mix your tracks together! Music Comp studied alongside Advanced Music Production module – unless otherwise specified (Mon/Wed eve). from 12 – 48 months, from £90 per month. Balance due 1 calendar month prior to start date. First instalment due 1 calendar month prior to start date. In short: as soon as you are ready. All live course dates are available for you to enrol on. Unlike most training centres SEM has a limit on lecturer to student ratio and keeps its class sizes small. We therefore have limited availability and courses fill up in advance. We recommend registering as soon as you are ready to secure your place to avoid disappointment. Monthly repayments to Omnifinance begin 28 days after acceptance. If you do not wish to begin repayments in advance of a course start date but want to ensure your place is secured, contact the SEM Office asap. You can only apply within 2 months of your course start date. Repayments only begin after your course finishes. Secure your place by enrolling on option 5. Once your loan is accepted/declined, the £100 will be refunded to you. If you have any questions please contact a course advisor on + 44 (0) 161 833 4722, who will be happy to help! Can I get funding for the course? Please note: if you are European, a British citizen but have not lived in the UK for the past three years, or have low or no credit score, then payment options 6 and 7 are the relevant options for you. We would also be happy to discuss a flexible monthly payment plan between yourself and SEM, as an alternative to loan funding. Please contact us promptly to arrange this. Prospective students are able to get an instant online decision to fund training though our partner Omni Capital. To apply, you must be 18 or over, and have been living in the UK for at least 3 years before your course starts. You can apply by clicking ‘enrol’ on the course page to begin the finance application. Please note student finance can only be applied for within 3 months or less of the course start date. You can apply for the full amount of course fees, and choose an affordable monthly repayment that suits your budget, with the option to spread payments between 12 – 48 months. Student finance is 0% for plans up to 12 months, and 9.9% for plans over this. Other benefits of student finance are that the baseline course price is based on our ‘advanced’ cheaper price. You can also repay your loan early in full or in part. You will need to pay a minimum 5% downpayment on the course fees at the point of successful application, although you have the option to make anything up to a 50% downpayment on course fees (please contact SEM for this). You can choose ‘advanced’ and ‘termly’ payment plans. An advanced payment would be required before starting the course to secure your place. A termly payment plan requires the first instalment to be paid no later than 1 calendar month before the course start date, with termly instalments at 10 week intervals. At the school’s discretion, a monthly payment plan can be arranged if there is a guarantor, if other finance routes such as student finance are not a viable option. Please contact us about this if you need more advice. If you are European, a British citizen but have not lived in the UK for the past three years, or have low or no credit score, then payment options 5 and 6 are the relevant options for you. We would also be happy to discuss a flexible monthly payment plan between yourself and SEM, as an alternative to loan funding. Please contact us promptly to arrange this. You can use the finance calculator to try the potential options that suit your budget. There is a minimum of 5% non-refundable deposit (downpayment for the course fees) required from the student at the point of successful application. The calculator will tell you minimum deposit required on the right hand side. To pay a bigger deposit please contact the school. What is my timetable for the course? Do I get practical time in the studios as well as lectures? Yes, MMS guarantees more practical time than any other UK equivalent. Practical time is allocated to you (flexible to your schedule) which goes alongside your lectures. We’re open from 10am – 10pm Monday – Friday, and 12 – 9pm on weekends for you to use the studios. Full time technicians are on hand for these sessions to give you mentoring if you need it. I work full-time. Is it possible for me to take this course? Yes, many students successfully study this course whilst working full-time hours. Your study is broken up into 6hrs of weekly lectures (fixed time every week), individual studio time (flexible to your schedule) and additional unlimited access. So, as long as the lecture time doesn’t clash with your other commitments, it is totally possible. If you have any questions please contact a Course Advisor on + 44 (0) 161 8334722. Do I need equipment for the course? Other than a pair of studio headphones (which are recommended but not essential. If you need advice on what headphones to purchase, please contact a Course Advisor on + 44 (0) 161 8334722. Every student has access to their own iMac workstation which contains all the software, samples and plugins that you will use throughout the course. Do you take term breaks? Yes we do take term breaks. Term Break – Closed from 29th May – Open 5th June 2017. Summer Break – Closed from 7th August – Open 21st August 2017. Winter Break – Closed 22nd December 2017 – Open 6th January 2018. I am an international student. Can I apply? Students from within the European Union, or who have joint nationality with the UK can enrol via the normal way, by clicking ‘Enrol Now’ on their chosen course. We cannot provide you with a Tier 4 Licence. Do please contact us so we can notify you when this is in place. You can however apply for a Short Term Study Visa to enable you to study for up to 6 months with us in the UK. And, if you are here on a short trip, you can study one of our shorter courses. See international students page for more information. Do you provide student accommodation? Student accommodation is not provided with the course. Please see our accommodation page which has detailed information on both student halls, and private renting in and around Manchester. It is advised that if you are moving to Manchester from abroad or a different city, the atmosphere of student halls might be better for you. We can help you with other aspects of re-locating, such as advising you on the best transport links to find us, and where some of the best musical venues around Manchester are. See accommodation page for more information. Do you hold open days? We do indeed hold Open Days! Yes see the next date. There’ll be free music production and DJ workshops, a range of industry seminars, and a chance to get lots of career advice. All are welcome. However, if you’re keen to get started quicker than when the Open Day comes around, particularly if you’re looking to study this course, we advise booking in for an informal personal tour of the school. Please contact a Course Advisor on + 44 (0) 161 8334722 to make an appointment for either a tour or the Open Day. If you have any questions please contact a Course Advisor on + 44 (0) 161 8334722, who will be happy to help! Join SEM newsletter. You can unsubscribe at any time! Join SEM newsletter. You can unsubscribe at any time. Win a weekend Music Production Course. Winner is drawn at random every month. By subscribing you will be added to our SEM mailing list. Your information will never be shared or sold to a third party.